I have covered developments of the Society for Integrative Oncology over the 19 years since the organization placed its flag squarely in the emerging, evidence-based integrative medicine era. Many of its accomplishments have been remarkable for the broader integrative medicine field. SIO has had success in creating guidelines that have been endorsed by conventional oncology organizations. Internally, the organization has, since its beginning, fostered an interprofessional environment that has, for instance, included naturopathic physicians in the presidency and leading its marquis integrative breast cancer guideline initiative. I’d never attended their conference until this year when I was one of 380 souls at the October 27-29, 2019 conference in Phoenix. Here are some impressions. Credit the 19th century composer Mussorgsky for the title. So who are these people? The organization has 481 members in 2018. The number is stable over recent years, presently “plateaued” as one leader characterized it. Of these, 256 are doctors, of multiple stripes, and 110 are other healthcare providers. A smattering of the 40 “patient advocate” members were in evidence in the meeting. Other membership categories are students and trainees. Nearly 4 in 5 (79%) are from the United States. Clusters of 10-18 are from Brazil, China, Korea, Italy, Canada and Australia. The annual budget is also plateaued at $350,000 or so, with the largest chunk income and expense related to the annual meeting. Roughly $130,000 is available for operations, mainly contracted through an association management firm. In her report to members, SIO president Lynda Balneaves, RN, PhD – a Canadian researcher based at the University of Manitoba – shared that the organization’s board is interested in growth, and taking on new initiatives. The organization, which has focused on its annual meeting and guidelines initiatives, has never had a formal strategic plan. Perhaps now it’s time? Ting Bao, MD, from Memorial Sloan Kettering will soon succeed Balneaves as president. Balneaves predecessor, Jun Mao, MD, also hails from MSK. With or without a formal strategic plan, SIO’s key initiatives came forward in the meeting. Expanding internationally One planned initiative is to develop globally. UK social prescribing leader and SIO board member Marie Polley, PhD has the lead. The October 2019 meeting in New York City, with easy access to Europe and all international flights, is expected to punctuate and enhance that drive. Competencies in Integrative Oncology SIO board member Claudia Witt, MD, perhaps the most influential of complementary and integrative health researchers globally, is leading an effort to publish competencies in integrative oncology. New SIO integrative oncology guideline Balneaves noted that work is underway on a new guideline – although the condition was not announced. An arrival moment for SIO this past year was the endorsement by the American Society for Clinical Oncology of the SIO guidelines on integrative oncology for breast cancer led by Heather Greenlee, ND, PhD, MPH. A newbie to this universe will spot two suns around which SIO activity and integrative oncology leadership often seem to revolve: oncology giants MSK, at $4.5-billion of annual revenue (2017) and Texas’ MD Anderson, a small city of 20,000 employees and $4.2-billion in 2017 revenues. The scale of these operations is astonishing. Their integrative oncology programs produce leading research, model clinical and integration strategies and provide key SIO leadership. The integrative oncology program at the Manhattan-based MSK operation – part of the largest private cancer center in the world – has branched into a dozen satellite sites. The integrative program employs 60 people. A relative newcomer is the University of Utah Huntsman Cancer Institute in Salt Lake City. The integrative oncology and wellness program boasts a $1.7-million annual budget. Integrative lead Shelley White, MSW, LCSW, PhD(c) shared multiple ways that the integrative oncology services are deeply integrated into the mission and operations of the cancer center. Huntsman has benefited from a $100-million philanthropic gift from an individual who is an integrative care supporter. White shared a dozen local agencies with which the integrative center has ongoing collaborations. Annual integrative and wellness visits have grown 4-fold since 2014 to an estimated 28,000 this year. A critical success element in creating buy-in has been the strategic focus on providing integrative services to administrators and staff. 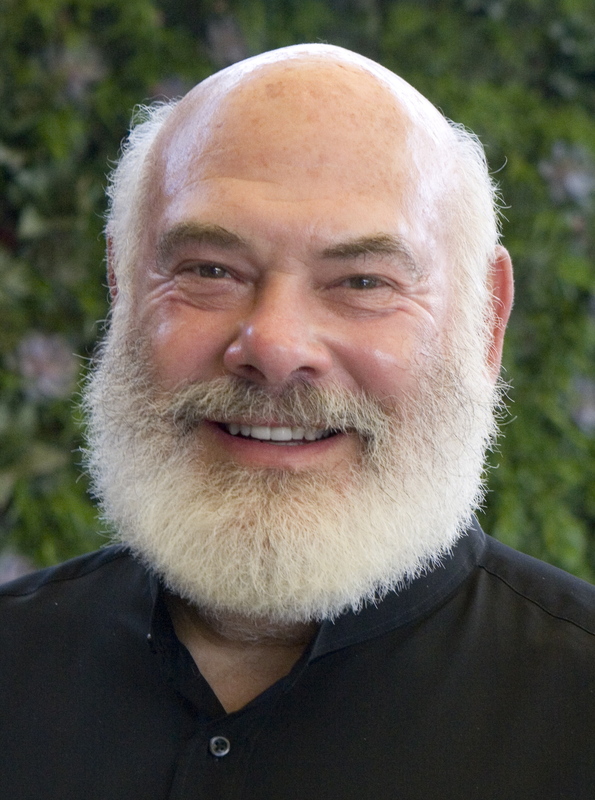 The opening keynote was provided by an individual who was introduced as the father of integrative medicine, Andrew Weil, MD. As per Weil’s usual style, the founder of the University of Arizona Center for Integrative Medicine proceeded sans-slides. He commented widely and not without some controversy on both integrative oncology and the conventional cancer establishment in which it is housed. He characterized integrative oncology efforts as mostly “integrative light” – with a little mind-body, massage, music therapy and perhaps some acupuncture. He contrasted this to a TCM hospital he visited in Beijing where herbs – essentially banned from oncology programs in the US – are used in multiple ways in treatment: “I had a feeling of sadness when I left that [Beijing] hospital, that patients [in the US] don’t have these kinds of treatments.” Weil was particularly interested in the potential of mushrooms. His liberal view of their safety profile was challenged in comment session by UCSF oncologist Donald Abrams, MD. 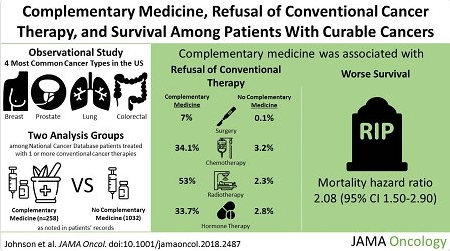 One panel featured 4 veteran clinical integrative oncologists who each produced disease-focused clinical reviews for a recent JACM Special Focus Issue on Integrative Oncology. The panel was moderated by Moshe Frenkel, MD, the former MD Anderson integrative oncology chief who, with Balneaves, co-edited the special issue. In the Q & A session, I asked the panels what, following their reviews, they would most likely to see as research priorities. Lung Cancer/Moshe Frenkel, MD first noted a broad interest in the potential role of fasting, a subject Maizes had broached in her talk. The Israel-based integrative oncologist then added a more specific recommendation: examining “something they do in Europe” which is the combined use of individualized homeopathy and regular care for small cell carcinoma. Breast Cancer/Victoria Maizes, MD, MPH suggested exploration of environmental exposure to see where we might best take preventive steps. Colon Cancer/Keith Block, MD expressed curiosity in exploring chronotherapy – the treatment of an illness or disorder that takes into account the body’s natural rhythms and cycles. Prostate Cancer/Donald Abrams, MD, a well-known cannabis expert, suggested the CBD oil in men undergoing active surveillance after diagnosis with slow evolving prostate cancer. Interesting mix: the medicinal herb of greatest public interest, an energetic and controversial substance (homeopathy), a radical (if historically practiced) relationship to food, and an increased respect for natural rhythms. The controversial July 2018 JAMA Oncology publication featured recently in this exploration of a call for retraction here in the Integrator popped up multiple times. Dugald Seely, ND, the winner of the 2017 Dr. Rogers Prize and leader of the Ottawa Integrative Cancer Center was honored with a lunchtime talk. His theme was the “tightrope” integrative oncology activists still must walk between often antagonistic oncology leaders and, on the other side, the ongoing proliferation of bogus claims for unproven cancer cures. “I almost called the talk B.S. for B.S. on Both Sides,” said Seely. He admitted to sometimes feeling paranoid – wondering about opponents’ attacks. He quickly took the JAMA Oncology paper’s gross misclassifications apart. How could such disreputable research be published in a reputable journal if not to intentionally attack the integrative field? Few I encountered who had taken a serious look at the article could conclude otherwise when they considered the selection of methods, the articles referenced, the failure to access expertise, the review process and publication. One steady theme among leaders of integrative oncology centers is to get the services of licensed acupuncturists covered in government and private insurance programs. In hallway discussions the theme repeated itself. A speaker from Mayo, referencing his own cancer process, wondered why everyone didn’t have access to acupuncture, at least in group-delivered format. Greenlee, the integrative breast cancer guideline lead, suggested that the field needs to learn to develop expertise in an area that has lain fallow: policy work and advocacy. Mixed outcomes of a large trial published in JAMA seemed generally to not align with the consensus view of the experienced clinicians about the benefits of acupuncture during chemotherapy infusion. Notably, however, as University of Calgary researcher Linda Carlson, MD noted, while the evidence in the breast cancer guideline for acupuncture was predominantly graded C level, that for mind-body, by comparison, was uniformly A level. Perhaps the lack of attention to large “politics” may be because integrative oncology center directors continue to be caught in immensely political internal environments. Their day-to-day work, as a segment on building successful programs showed, requires ongoing internal advocacy. The seek institutional resources, to maintain referrals, donations, to rebut antagonists, and in general to make the case for value. Santosh Rau, MD, a board member and integrative oncology leader at Arizona-based Banner Health – an MD Anderson affiliate – described multiple challenges in the day-to-day environment. “Until we reach the status of palliative care and survivor programs,” said Rao, he painted a picture like that of Seely of the tightrope that will be the stuff of life for leaders and their programs. Implementation Research: What Might Facilitate the Uptake of Integrative Oncology Practice? A piece of useful scheduling was the inclusion of a plenary segment that examined the distinctive field of implementation research. Gila Neta, PhD, MPP from the National Cancer Institute shared strategies for securing funding, finding mentoring, and joining the growing community of researchers focused on the real world end of translational research. The movement for integrative oncology and for integrative health and medicine in general – with its efforts to replace the present paradigm – would be served to give itself the benefit of more of this research. Note that this slow boat likely moves more slowly if the journey implementation is that of science that supports a new paradigm of care. To a question from an audience member, the NCI representative said as far as she knew there may have only been just one grant request thus far from the integrative oncology community for funding of such pragmatic research. The Society for Implementation Research Collaboration is the doorway to more information, and the community of researchers working this direction. Credit SIO for its commitment to include “patient advocates” at its meeting. The organization grants scholarship to a set of such patients each year, to make sure that they are present and part of the discussion. Perhaps the leading patient advocate in the integrative space was the most outspoken such voice at the meeting. 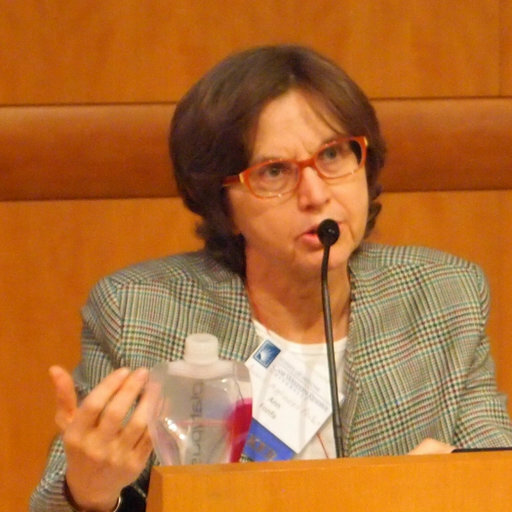 Ann Fonfa, the creator of the Annie Appleseed Project and its annual conference that links patients and oncology practitioners, frequently was at the microphone with questions for speakers or panelists. Often her perspectives had a useful urgency. Fonfa is a cancer survivor. As an individual who is also living with the sequellae of cancer treatment, I imagine Fonfa’s sometimes necessarily chaffing questions may have been more meaningful to me than to others present. Again, credit SIO for the investment in getting patients there in this nominally “patient-centered” world. It’s a rare organizational commitment. The journey here is of personal touchstones in a passage through the conference – which for family reasons was limited to two days, for me. These would be mapped very differently by others, of course, given the richness of concurrent sessions, posters, the happenstance of mealtime sharing and intentional hallway solicitations. What became abundantly clear is that the integrative oncology community is another in the multiple fields that make up the movement for integrative health and medicine, re-blossoming annually when the conference creates the right context. A regret was that my early departure meant bowing out of the planned dancing after the last night gala at the Arizona Botanical Garden. Consider New York City, October 2019, if you’ve never been to an SIO.